The Zoo is split into 8 different sections: Tamarins, Farm, Serval, Squirrel Monkeys, Penguin, Gibbons, Petworld and Lemurland. Each section has a section leader who takes overall responsibility for that particular section - in some cases other staff may help section leaders with their section but they must be individually trained on the specific section to administer help. 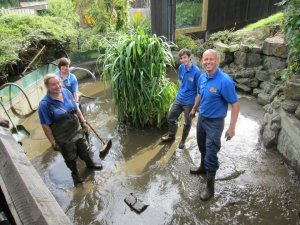 Being a Zoo Keeper at Drusillas Park requires 100% commitment, hard work and a love for all things animal - anything below this, falls well short. 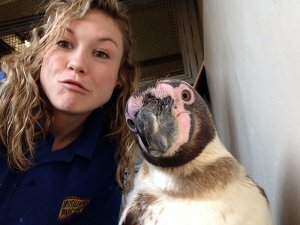 Luckily, we at the park employee some of the best keepers in the country and as such, are going to give a brief outline of what a day in the life of a Zoo Keeper entails. 08:00 - Arrive at work and attend Morning Keeper Meeting, to get up to speed with any zoo and animal updates before checking all the animals to ensure all is well. 08:15 - Move the cattle from the top field to the Farm Yard. 08:25 - Prepare the morning feeds. 09:00 - Switch on interactives throughout the zoo. 09:10 - Clean all the enclosures from top to bottom and provide fresh water. Wash outside windows and deliver breakfast to animals. 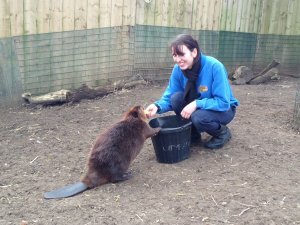 11:15 - Provide mid-morning scatter feeds to the animals and take mealworms to Keeper for the Day for the meerkats. 12:30 - Deliver the lunch feeds to the animals. 13:00 - Return to the Zoo Kitchens to prepare afternoon feeds. 14:00 - Get tamarin cake and marmoset gum ready for tomorrow. Carry out additional jobs required in the zoo. 14:30 - Distribute afternoon feeds. 15:00 - Carry out daily enrichment whilst re-branching and re-roping if required to do so. 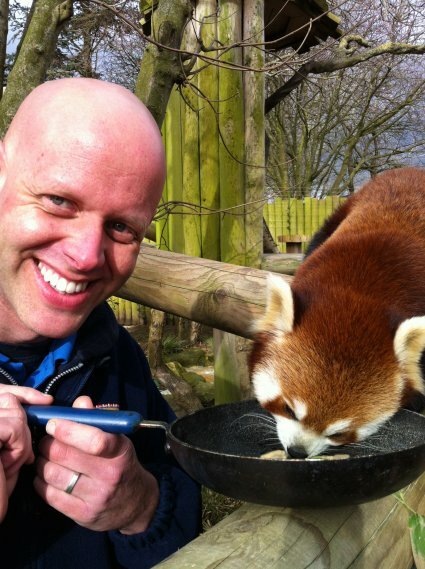 16:00 - Clean the Zoo Kitchens. 17:00 - Deliver final insect feed to certain species and feed the snakes. 17:15 - Return the farmyard stock to the fields to graze overnight. 18:00 - Lock up and go home before repeating it all again tomorrow! It's safe to say that the zoo keepers have one of the hardest jobs going. Their dedication to the animals and the organisation is extremely valued by everyone at the park and we salute them for their exemplary service! There are some perks of the job which you can see below. Have a lovely evening.